It may look like a gadget out of a superhero movie, but this non-lethal, crime-fighting device is real. DAYTONA BEACH, Fla. — It may look like a gadget out of a superhero movie, but this non-lethal, crime-fighting device is real. It's called the BolaWrap, and it's made by Wrap Technologies. It fires a cord the company says is made from Kevlar. The cord wraps around the subject's body, impeding movement. Law enforcement say it is another option to take down suspects. 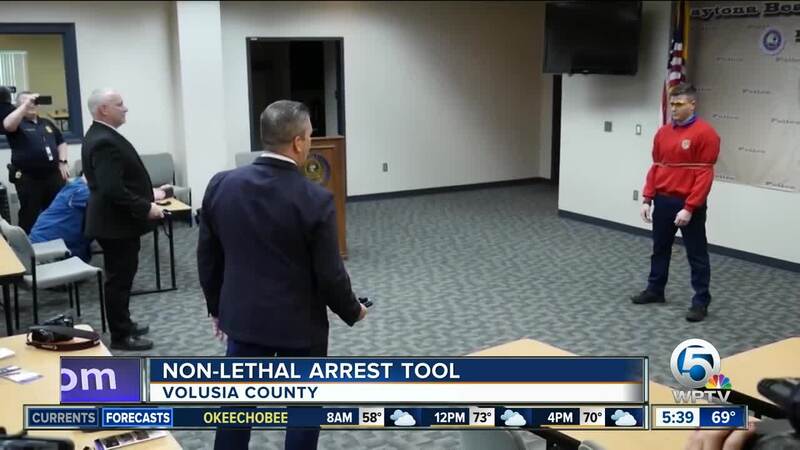 The Volusia County Sheriff's Office posted video of law enforcement testing the device Wednesday. Wrap technologies says the BolaWrap works from a distance of up to 25 feet.